Connection is stable! We found no dead corner or no need to reset for any reason. Once it’s fully charged, it can be used for whole day! It's never been so easy to stay connected whilst abroad. 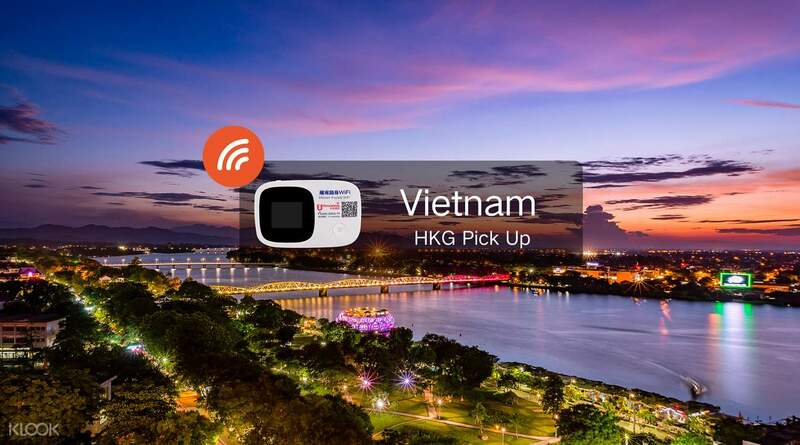 With an easy pick up and drop off service at Hong Kong International Airport you'll enjoy unlimited WiFi access throughout your stay in Vietnam, without the stress of sourcing WiFi once you get there. 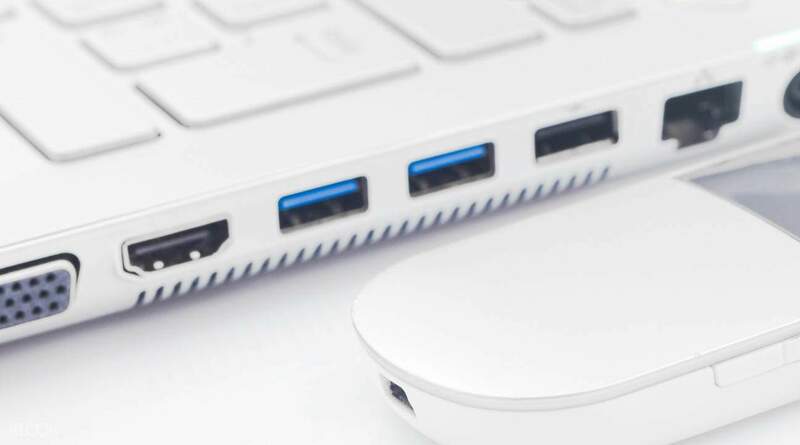 The speedy 4G device connects up to five different phones, laptops and tablets at once and supports 4-6 hours of surfing on one battery charge. So add some spontaneity to your travels with the ability to plan on the go and keep in touch with friends and family wherever you are. Whether you're arriving in, or leaving Hong Kong for another destination in Asia, we've got you covered with WiFi pick up at Hong Kong Airport for holidays not only in Vietnam but also South Korea, Thailand, Singapore, Taiwan, Japan and more. So far so good. However, in some area has no signal. So far so good. However, in some area has no signal. Super easy and user friendly. Much much much more cheaper than buying in the theme park. Highly recommended. Super easy and user friendly. Much much much more cheaper than buying in the theme park. Highly recommended. The portable device is nice that it has a screen showing data usage info so that you will know whether you are within the limit or not, as well as about the remaining battery. However, it takes up to 3 mins to connect to the Internet once the device is turned on. Staff members are willing to tell you how to use the device. Pick up is very efficient. The portable device is nice that it has a screen showing data usage info so that you will know whether you are within the limit or not, as well as about the remaining battery. However, it takes up to 3 mins to connect to the Internet once the device is turned on. Staff members are willing to tell you how to use the device. Pick up is very efficient. Very good experience good coverage and battery lasts long. Very good experience good coverage and battery lasts long. The battery life better than expected, connection is stable, 2 devices for the wifi router therefore I am not quite sure the performance if more devices connected. Anyway, I feel satisfactory for the performance. The battery life better than expected, connection is stable, 2 devices for the wifi router therefore I am not quite sure the performance if more devices connected. Anyway, I feel satisfactory for the performance. 초대 코드: 8EBHL <-- 3750W off It's one of the better ones in the market. Speed can be a bit slow and coverage can be a bit patchy, but Not Klook nor its vendors fault obviously coz it's the matter of Vietnam telecom operators. 초대 코드: 8EBHL <-- 3750W off It's one of the better ones in the market. Speed can be a bit slow and coverage can be a bit patchy, but Not Klook nor its vendors fault obviously coz it's the matter of Vietnam telecom operators. It is very convenient both for collections and return of the wifi egg. The reception in Vietnam is stable when compared with wifi egg of other companies my friends rented. The size is small and easy to carry around during the trip. Just one suggestion for improvement is that the wifi egg requires recharge every few hours. Thus, I bring me external battery for recharge. It is very convenient both for collections and return of the wifi egg. The reception in Vietnam is stable when compared with wifi egg of other companies my friends rented. The size is small and easy to carry around during the trip. Just one suggestion for improvement is that the wifi egg requires recharge every few hours. Thus, I bring me external battery for recharge. Was very easy to use indeed and device performed generally well over our stay in Vietnam. Although sometimes we had connection issues but overall still acceptable. Given the price per day would probably still recommend to friends. Would rate four stars as the battery seems a bit on the short end. Was very easy to use indeed and device performed generally well over our stay in Vietnam. Although sometimes we had connection issues but overall still acceptable. Given the price per day would probably still recommend to friends. Would rate four stars as the battery seems a bit on the short end. Quite good in receiving data, the speed is acceptable. However there is some problem with the charger hence it takes a bit long time to be fully charged. Quite good in receiving data, the speed is acceptable. However there is some problem with the charger hence it takes a bit long time to be fully charged.